I would like to say a very big Thank You to Hannah from Hannah Hearts, she has a great blog so you should check her out! I love this type of post because you get to know other bloogers so it's great to get nominated. 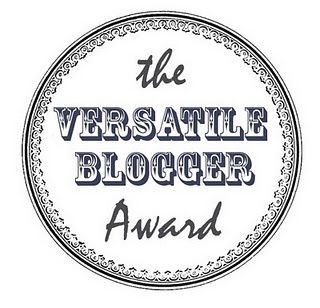 Select 15 or so bloggers you have recently discovered or follow regularly, and nominate those bloggers for the Versatile Blogger Award. Leave a link in the comments of their latest post to let them know they have been nominated. I have albums in my iTunes that I have never listened to! I recently had a car accident without even being in the car. The hand break somehow was let off and rolled into the back of another car while i was shopping I was not Pleased! Up to this point I have watched 6,932 You Tube Videos!!! My Sister and Brother-in-law gave me a Diamond necklace for being a Bridesmaid and helping out with all the wedding stuff, but i'm so afraid I will loose it that I don't wear it. Lily at Let's face it i'm just Lily! 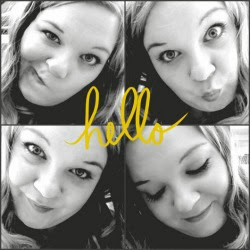 Please give these blogs a look and Follow them if they Tickle your Pickle!